Life hacks are there for making your life easier. Today, we present you the most amazing life hacks that you can use in your life. 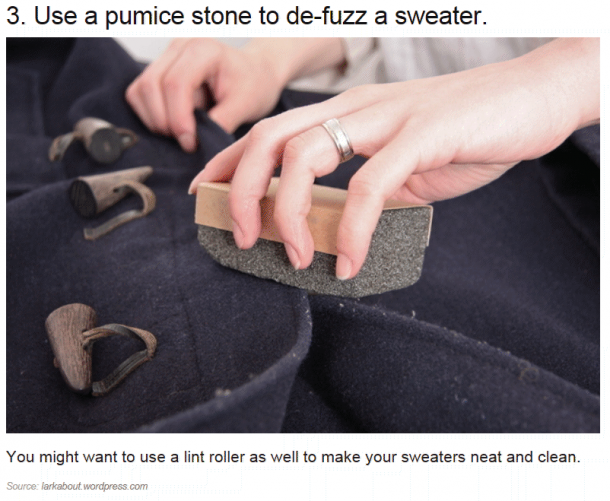 Free up your clothes from the fuzz with the help of pumice stone. 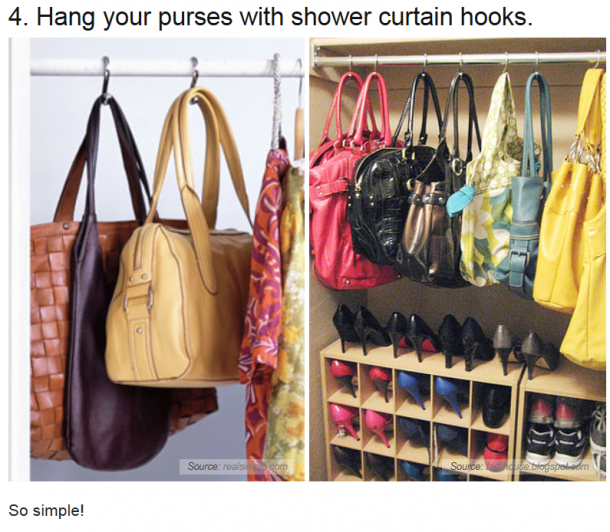 Shower hooks can help you in hanging your bags and purses, making your closet organized. 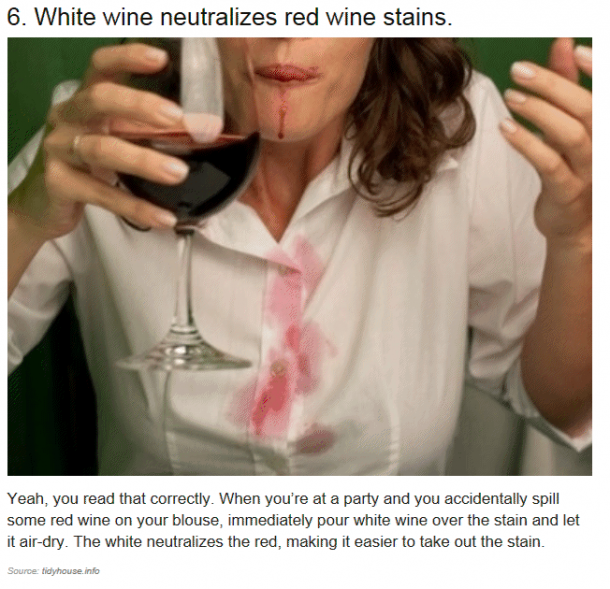 Pour white wine to remove red wine stains. 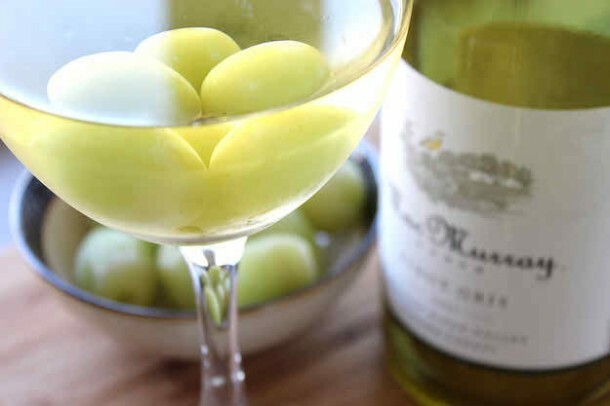 Avoid watered down wine by using frozen grapes instead of ice-cubes. 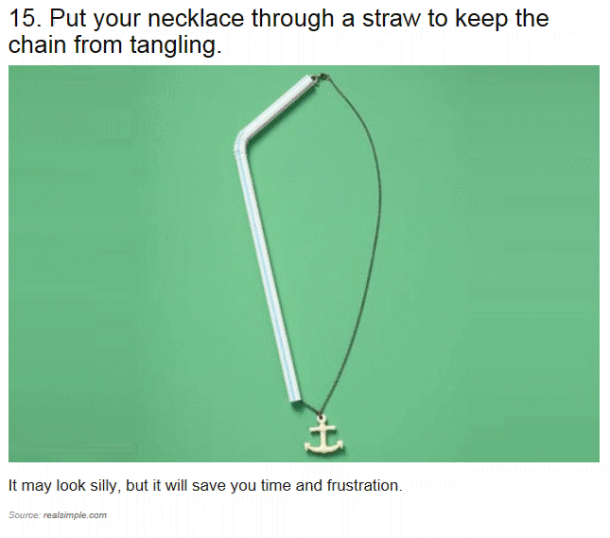 Insert your necklace chain through a straw to avoid getting it tangled. 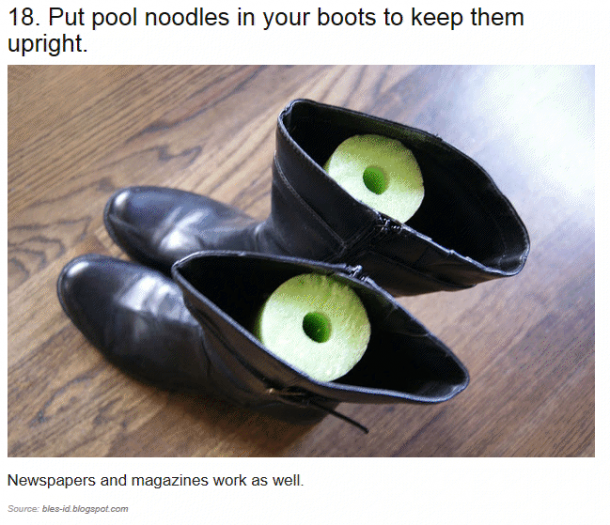 Pool noodles and even a roll of newspapers and magazines in your shoes can keep them erect. 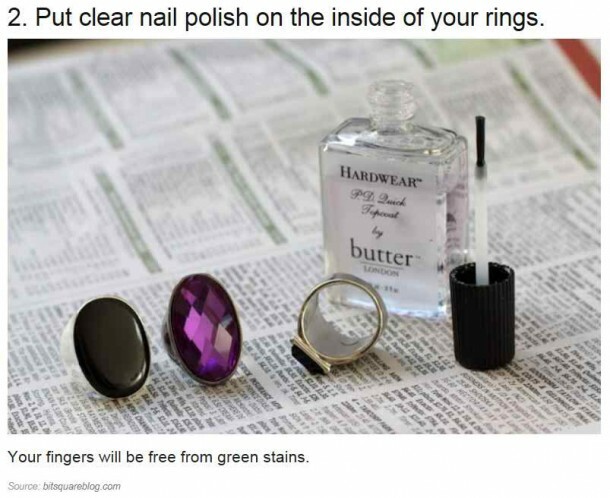 Apply clear nail paint inside your rings. 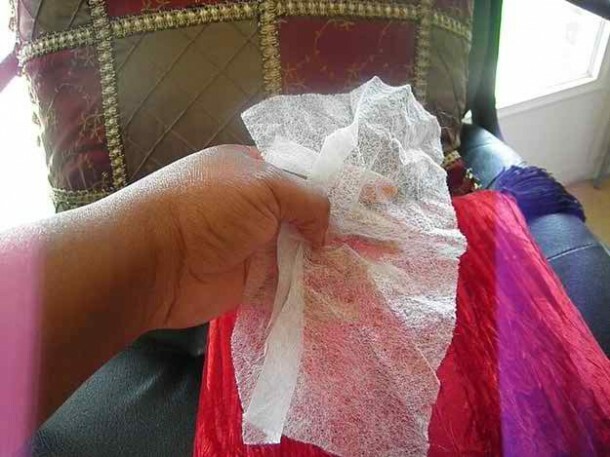 It will prevent causing the green stains on fingers. 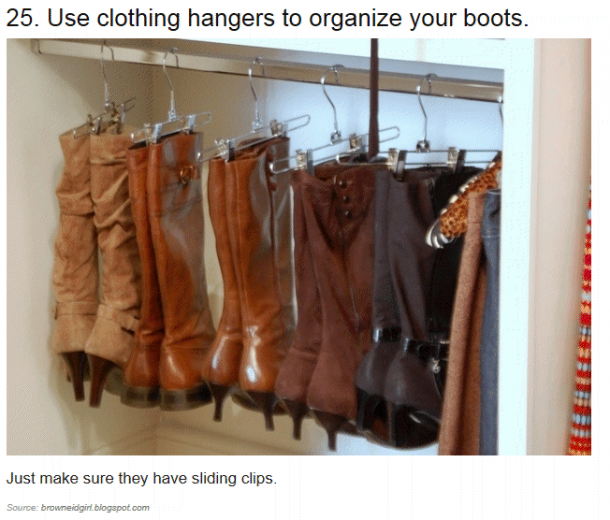 Hanging your boots will help in maintaining their erectness. Make sure the hangers have sliding clips. 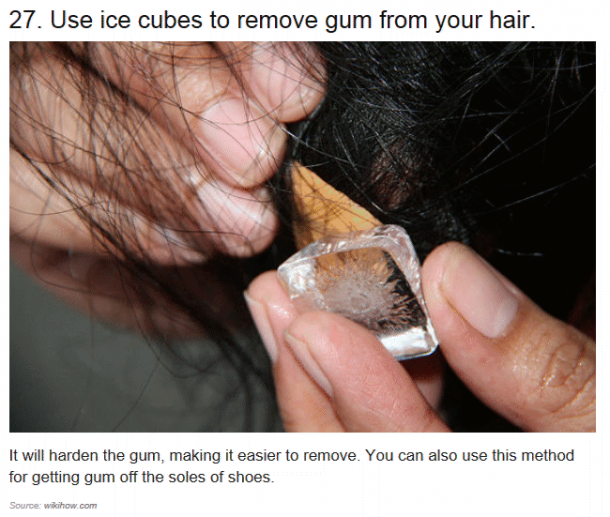 An ice cube can help remove the gum from your hair without damaging the hair. Organize your precious jewels in cutlery trays. 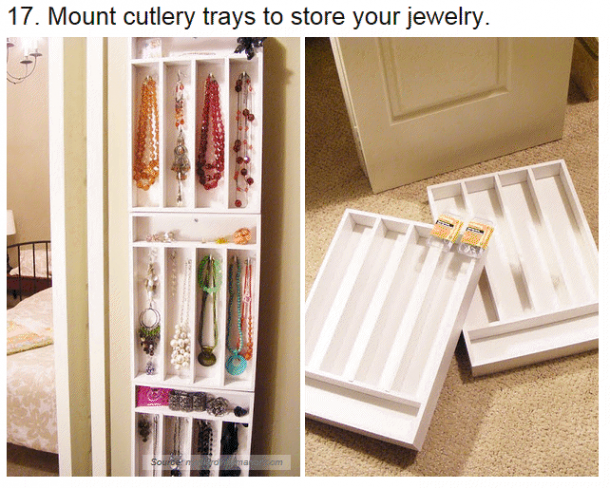 Your jewelry will look organized. 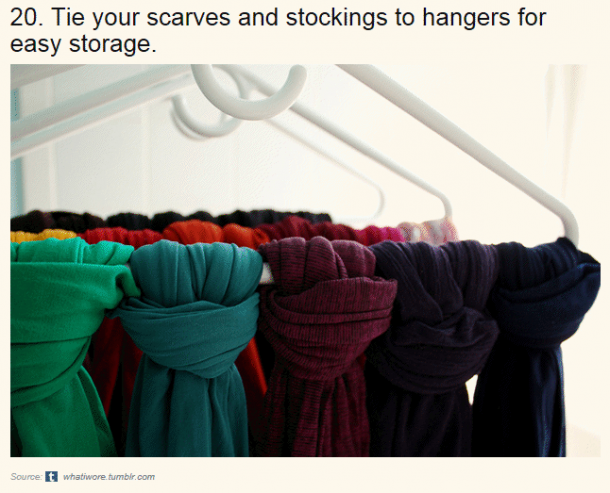 Tying scarves in a hanger will create more storage space in your closet. 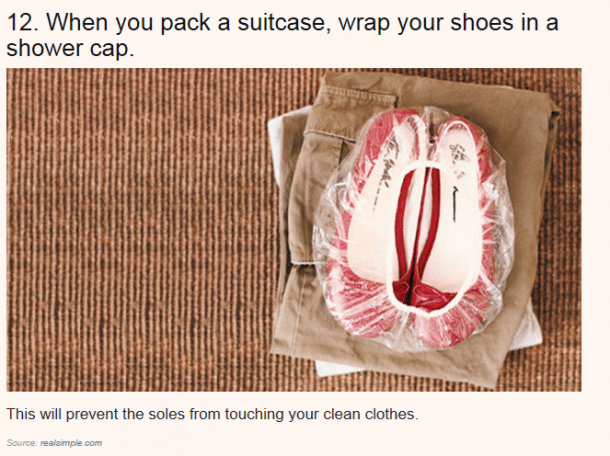 Shower caps can be an awesome shoe wrapper when packing for travelling. 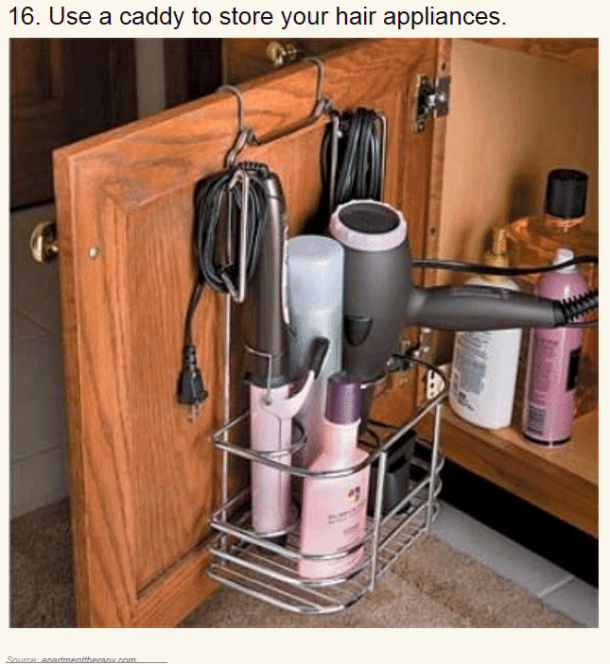 Caddies help you store appliances easily and also free up the counter space in bathrooms. 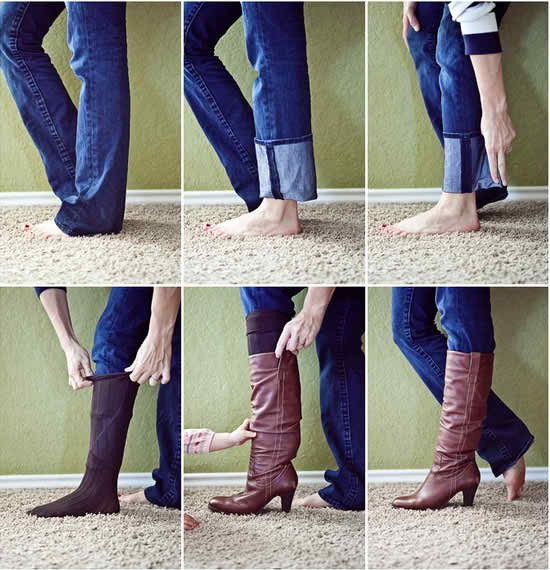 Neatly tucked in jeans will not look while wearing long boots. 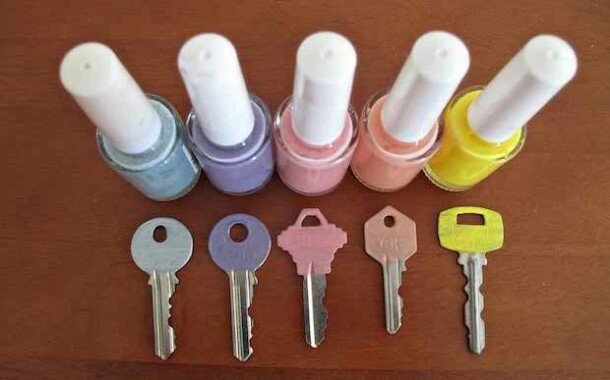 Your keys can be easily recognized by applying nail paint on them and tell quickly which lock they belong to. 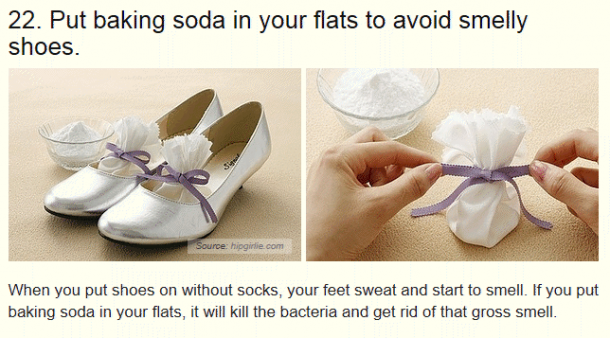 Put baking soda in your shoes to remove bad odor from your shoes and gym bag.